Hello %first_name%, To give thanks to you, we are offering the brand new John Penton Story on DVD with orders over $100 on Thanksgiving Day only. Simply put, John Penton is the reason we do what we do. Now is your chance to see this amazing story and it makes a great gift! Order now or contact our Support Center for more information. BluRay is available for purchase here. Don't forget to shop our amazing Black November Deals while they last! PENTON: The John Penton Story is an American story about family, competition, ingenuity and business that will tug at hearts of everyone who sees it. What began with a humble motorcycle shop, turned into an international off-road racing career leading John Penton to the discovery of the need for a smaller machine which he was soon selling in the US. 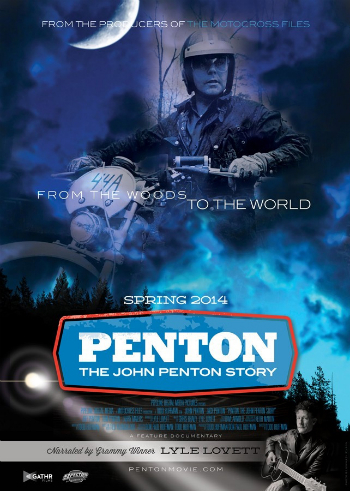 With his innovative Penton motorcycles he introduced riding to a new generation of riders around the world. Happy Thanksgiving! We will be closed Thanksgiving Day and open on Friday normal business hours.